A country of endless tourist attractions, blessed with a various and unique landscape, rich wildlife and fascinating culture, a holiday in Tanzania can offer you the time of your life. With Lake Tanganyika, Mount Kilimanjaro, Lake Victoria, Serengeti National Park and Zanzibar as main landmarks, Tanzania is one of the most visited countries in Africa. Due to its location below the Equator the country has a tropical climate with two rainy seasons and one dry season. Temperatures are quite uniform varying according to landscape and altitude, thus, the coastal regions remain warm and equilibrate in rainfalls throughout the year while the northern mountains are cooler and more humid. Tanzania houses some of the continent’s extremes like the highest peak in Africa, Mount Kilimanjaro (5896m), the largest lake, Lake Victoria and the deepest lake, Lake Tanganyika. The country also has exotic beaches and idyllic islands, a paradise for sun worshipers and great for water sports. There are also three main islands belonging to Tanzania: Zanzibar, Pemba Island and Mafia Island, all offering spectacular landscapes. Historically, these lands were the home of the Bantu people, and of the Swahili culture from the Indian Ocean coast. The latter ones were famous traders and their culture developed amazingly until the 15th century. Tanzania is one of the many African countries with a great interest in preserving the local flora and fauna. Every tourist that arrives here and wants to meet the famous African vegetation and animals can visit some of the many national reserves from both inland and from the Indian Ocean beaches. Some of the most important protected areas are the Ruaha National Park, Serengeti National Park, Saadani National Park and Selous Game Reserve. Tanzania is one of the most beautiful countries in Africa, with remarkable tourist attractions, that offer a wide range of good quality accommodation in hotels, bungalows, cabins or other tourist facilities. For the ones that are about to visit Tanzania, a visa and a valid passport are required. Almost all travelers need a visa no matter the purpose of the visit, except the citizens of some African and Asian countries. More information about this issue can be obtained from any local embassy or consulate office. The regional currency is the Tanzanian Shilling and can be converted in any local bank, airport or hotel. Credit cards are also an option but they are only accepted in few hotels and restaurants. Due to the increasing number of tourists that arrive here every year, this country has improved its transport infrastructure regularly throughout the years. The main options to get here remain by air, sea or by road. The main airports: Dar es Salaam International Airport, Kilimanjaro International Airport and Zanzibar International Airport, link Tanzania with all the major cities in the world. Transport by sea is made with the help of the many boat companies and regular ferries. There is also the option of traveling by car or train on the many international roads and railways connecting Tanzania with the other African countries. Inland, you can use the rent a car companies, buses or minibuses to get from one place to another. No matter your traveling option getting to Tanzania has never been easier. Even if Tanzania is one of the poorest countries in the world, due to its huge and unique natural heritage, tourism has flourished and amazing resorts have risen all over the country. There are endless possibilities in matters of accommodation, form the most luxurious and self sufficient hotels to the simplest cottages located in the most remote locations possible. Most of the resorts are located near the national parks, in the capital city, on the Indian Ocean shore and on the nearby islands. A great beach resort is Kilwa Seaview Lodge, offering simple accommodation in “bandas” near the beach. All bandas are spacious, with comfy beds, ceiling fans, private verandah and magnificent sea view. Another accommodation option on the beach is The Old Boma Hotel, located in an old fort with great architecture, numerous facilities and beautifully decorated rooms with many local handmade items. The hotel offers also many outdoor activities for its guests like water activities, cultural trips and visits to the nearby natural reserves. If you go on a safari the most popular are the camps, offering large tents with sleeping and eating areas and bucket showers in open air in order to make everything even more original. Another option is the stone cottages found near almost every national park or reserve like the Sable Mountain Lodge. In spite of their remote location they offer good quality accommodation with cozy rooms, spacious bathrooms, great views, a swimming pool and a restaurant. The various resorts in Tanzania are well suited for both families and adventurers, making every holiday a unique experience. Tanzanian’s traditional cuisine main ingredients are local bananas used for deserts as well as with meat, coconut and coconut milk, fish, chicken meat, rice, cassava and spices like the homemade curry. Some of the symbolic dishes here are the ugali, a cornmeal based dish, N’dizi Ya Na Nyama, a beef stew with coconut milk and vegetables, Samaki wa Kupaka, which is grilled fish, Mchuzi wa Samaki, a traditional Swahili fish and curry dish and many more. There are many fine restaurants here, some of them located in the tourist resorts or in the main cities, all offering cuisine at the highest standards, ready to satisfy even the most demanding guests. You can find here traditional restaurants, combined ones serving also dishes from the international cuisine, live cooking ones that prepare everything as a part of a gastronomic show right in front of the guests and more. 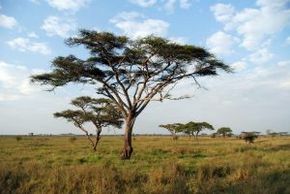 In conclusion, Tanzania is a land full of magic, color, exotic scents and amazing landscapes. Anyone willing to visit this country will be impressed by its beauty and will, most certainly, spend the time of his life.